We live in a society where being the happiest version of yourself at all times has become a fixation. I’m going to be honest with you: there’s no way to be happy all the time and all the self-help gurus that will tell you otherwise, are not doing you any favors. I’m a regular person, just like you. And, like everyone else, you and I have negative thoughts and negative feelings. The one thing we should try not to have, though, is resistance. But why is resistance so bad for us? You’ve probably heard Carl Jung’s famous quote: ‘What you resist, persists.’ The truth is, the more time and energy we invest in ‘fixing’ our circumstances, the bigger our problems seem to grow. So, how can you stop resisting the turn of events and start accepting your life as it is right here, right now? As I mentioned before, I’m no stranger to negative thought patterns, which is why I use tools from Cognitive Behavioral Therapy to help my clients become aware of their negative beliefs and, step by step, reframe them into ones that actually help them be happy and achieve their goals. One of them is the Automatic Thought Record Tool. How does the Automatic Thought Record tool work? You notice a thought that’s been bothering you and acknowledge your bodily response to that thought in the form of sensations. Then, you write down the intensity of the emotion you’ve felt, and think of a more positive thought to substitute the first one with. That’s how reframing works. Spot it, feel it, and reframe it so that your mind becomes your partner—and not your enemy—in life. If you want to track your negative thoughts and become more content with life, download your free Automatic Thought Record tool. It’s quick and easy, and you can print it out to use it whenever you feel overwhelmed with your thoughts or emotions. If you have resistance thinking about, talking about, or making things happen in one particular aspect of your life, you may have let yourself turn into a victim of your thoughts. Some people don’t like to talk about money. For others, relationships and romance are like a pandora’s box they don’t even want to think about opening. We’re all different and each of us has their own unique problematic areas. But, very often, the problem turns out to be what I call ‘the scarcity mindset.’ The scarcity mindset is when you feel like you don’t have or just can’t do enough in that one certain area in your life, no matter how hard you try. The scarcity mindset all comes down to not feeling good about yourself. 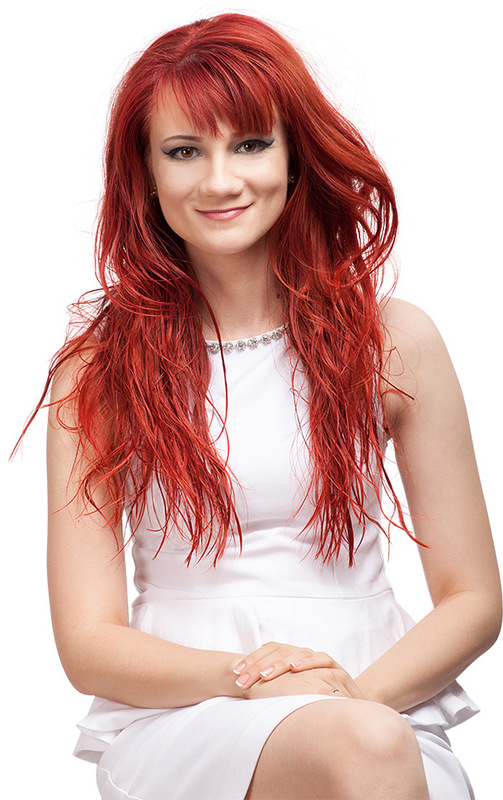 If you’re content with who you are, know your strengths and weaknesses, and choose to focus on your strengths and the positive impact that you can make on the world, then you can achieve almost anything you put your mind to. So, how can you identify and focus on your strengths? Let’s do a little exercise. Write down 5 things that you like about yourself. They can be physical traits or character traits, it doesn’t matter. Once you’re done, read them out loud. Contemplate your strengths as you read them out loud. Remember, you are reminding and refocusing yourself on them. Practice this exercise every single day for 3 weeks straight, and you’ll see how you’ll find yourself slowly shifting your focus on the things that are great about yourself and your life right now. According to neuroscientist David Rock, mindfulness can rewire your brain to be less emotional and more rational. It’s a way of staying in control of your emotions and surroundings by observing them non-judgmentally, without the need to change them. It’s also what gives you the freedom to choose your response in highly-emotional situations, instead of letting yourself be consumed by the heat of the moment and do or say things that, later, you’ll probably regret. Mindfulness is one of the most powerful ways to practice acceptance and become content with where you are in life at the moment. It doesn’t mean you can’t or shouldn’t strive for more, it’s just a little reminder to center yourself in the present moment and enjoy what’s already in your life. Gratitude is the most powerful tool I’ve found when it comes to feeling content with life. When you are grateful for the people, things, and experiences that you have in your life, you will inevitably shift your mindset to abundance. Here’s how you can start keeping a gratitude journal: every day, write down three things that you’re grateful for. You can try it for yourself and find out which time suits you best: I’ve tried it both early in the morning and late at night before going to bed. What I can tell you from my experience, is that if you do it in the morning, you’ll start your day on a more positive note, and if you do it in the evening, you’ll most likely fall asleep with a smile on your face. So, it’s entirely up to you. 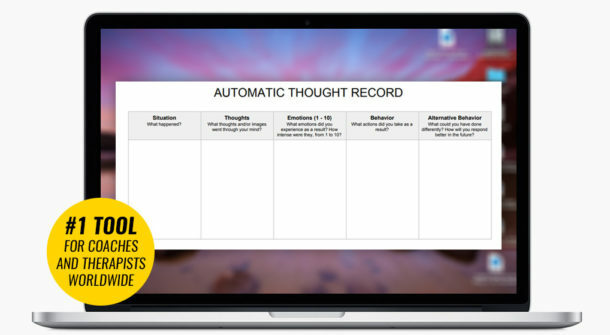 Let me know in the comments if you have any questions on how to use The Automatic Thought Record Tool, I’d love to help you out.